Still not sure what to get your Valentine tomorrow? 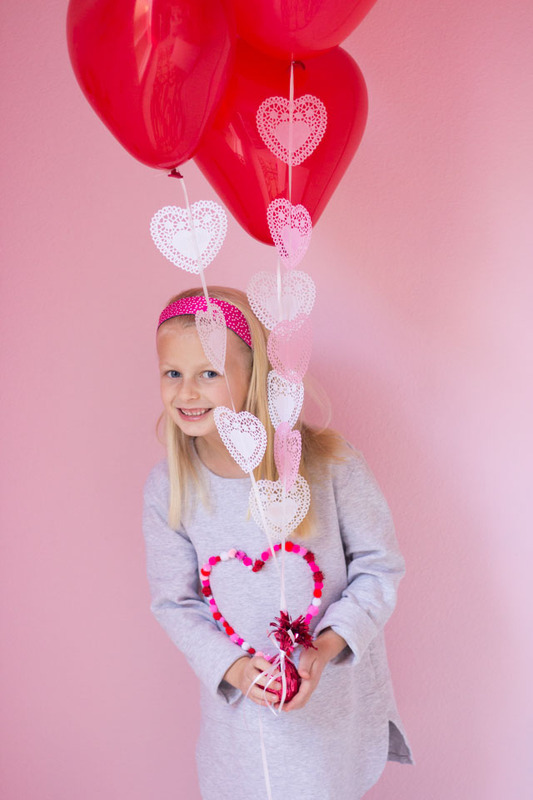 I have a 15 minute craft that will make the sweetest surprise for your Valentine! 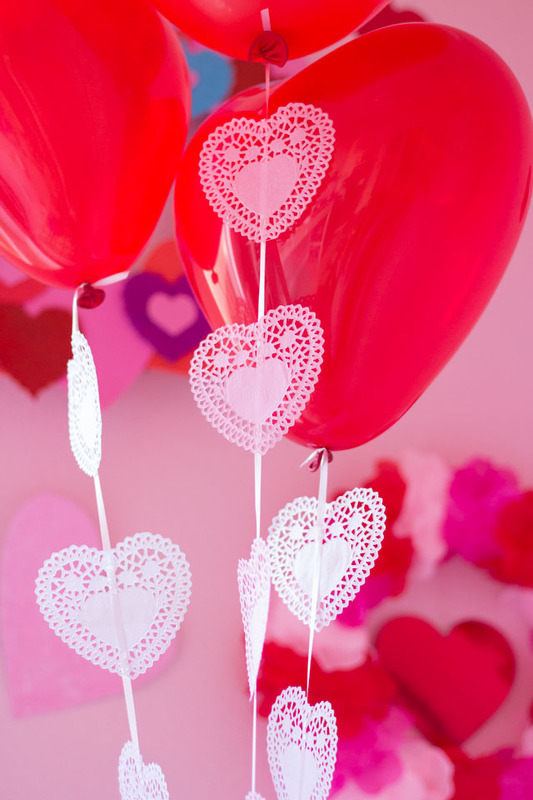 You can use mini heart doilies to turn plain balloons into a Valentine’s Day balloon bouquet. I used heart shaped balloons, but this would work just as well with regular red or pink balloons. Who wouldn’t love to receive a bunch of these on Valentine’s Day? 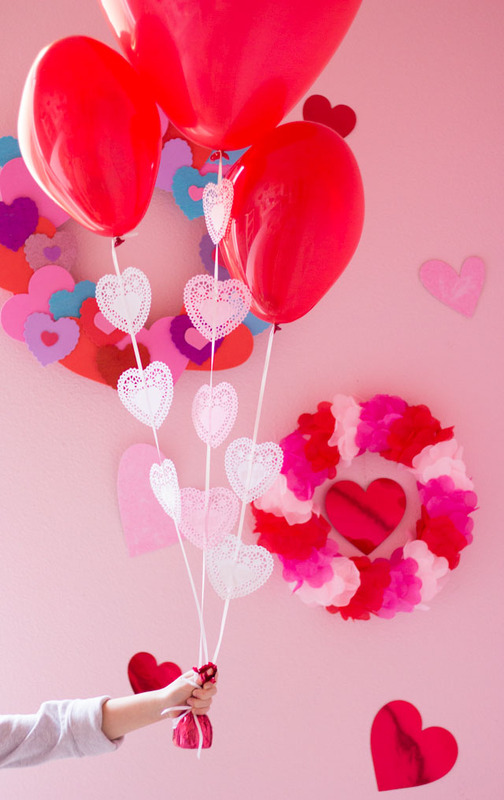 They would also make for simple and sweet Valentine party decorations. 1. Inflate the heart balloons with a helium tank (or have your local party store inflate them). Tie to a balloon weight with curling ribbon. 2. 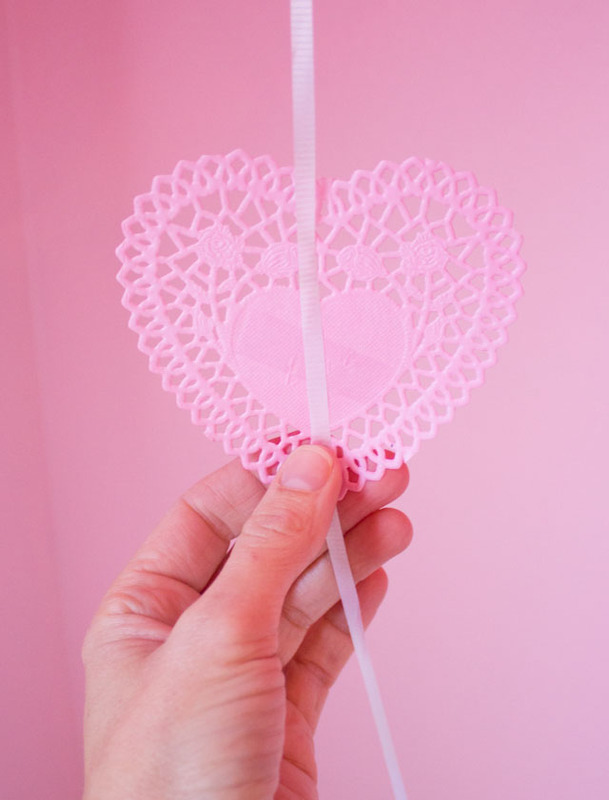 Add mini heart doilies to the curling ribbon with a small piece of clear tape. Add about four doilies to each balloon string and you’re done! The doilies are lightweight enough that they won’t weigh down the balloon. Who wouldn’t love a bunch of these on Valentine’s Day? So much less expensive than a bouquet of flowers, and more special too! 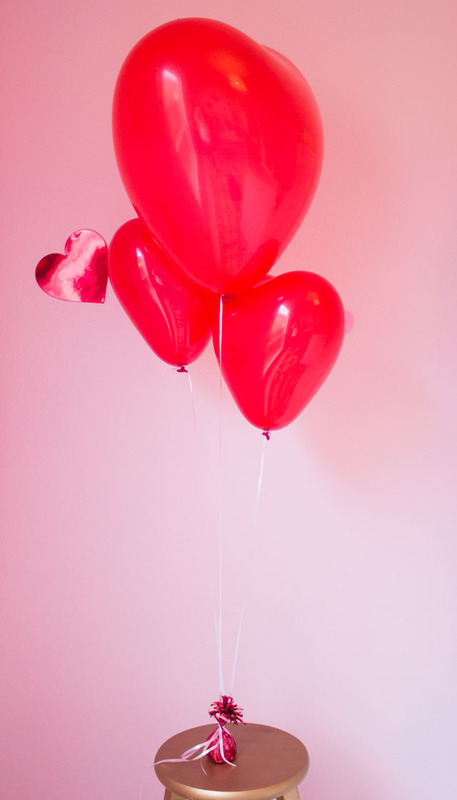 Want other Valentine day balloon ideas? Check out all of these DIY Balloons!